Well Louisa Clarke is not really doing what Will Traynor told her to do. Sure after his death she traveled to Paris but her grief was overwhelming and she’s going down a path that is not healthy. She is back in England, London this time. She seems to be cut off from family and friends. The only thing she has going for herself is her job at an airport pub, and that’s not going very well either. After an accident Lou is forced to stay with her parents while she recovers and to make her parents and herself feel better she joins a grief counseling group. As people go around the room telling their stories, she can relate but still wonders what she is doing. Finally when a young woman enters her life claiming to be Will’s daughter, Lou thinks she may have found something to live for but it’s not going to be easy getting to know Lily. The teenager is going through a rough time in her life, which unfortunately translates to a very unlikeable character. Why Lou feels so compelled to help her is beyond comprehension. For most of the book Lou is depressed and just a former shell of her old self. Hard to believe this is the same character of Me Before You. It is understandable that she would be sad but once again I wonder why a sequel was necessary. 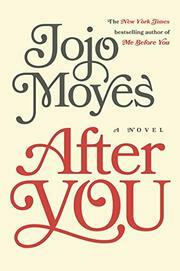 I’ve enjoyed several of Jojo Moyes books but this was not one of my favorites. The scenes I did enjoy were actually about Lou’s mom in her quest to become a feminist. That led to some cute and humorous scenes of her mom and the rest of the family. Honestly I feel the sequel is unnecessary; the ending was moving and bittersweet in Me Before You yet it was also a beautiful one. I haven’t read the rest of her books but I’ve two in my pile and hopefully will get to them at some point. The thing I loved about Me Before You was that Moyes didn’t let the novel become completely depressing or maudlin. I hope Lou moves on and regains her positive attitude, but I don’t think I’m up to reading about the process right now. I have heard that this second book wasn’t necessary. Thanks for your honest thoughts! I read one called Last Letter from Your Lover by this author and I loved it. Hmm. I have thought about reading this as I liked the previous book (despite such a sad story) but I have not been quite as compelled and now I wonder if I will put it off even longer. 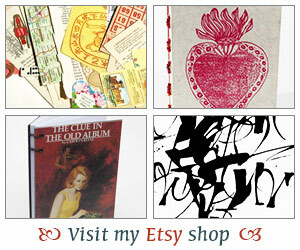 Sometimes a story ends and that is okay–I don’t need to know more and this might just be a case of that happening!